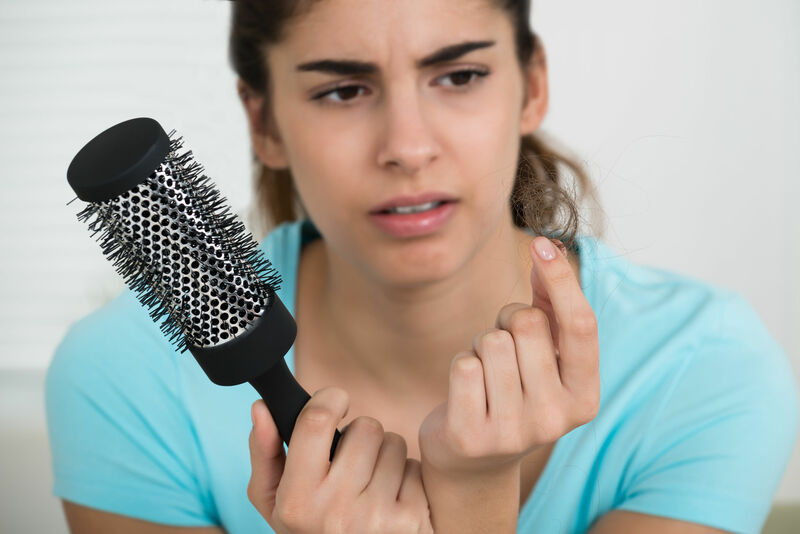 You look in the mirror and see it: the signs of hair loss. You notice a widening part or a more prominent widow’s peak. Or perhaps your hair simply lacks the thickness and volume it once had. Well, thinning hair happens to the best of us—and yes, it can be stressful. Styling it also presents a challenge. If you’re a guy, you may find yourself considering a hair transplant And ladies, you may be finding yourself combing through magazines looking for new ways to add volume to your hair. Well, there are clever ways to disguise thinning hair. All it takes is a little styling know-how. We get it — cutting your hair may seem counterintuitive when you want to hold on to as much hair as possible. But sometimes, if you let your hair get too long, it actually draws attention more attention to thinning hair. In this instance, less can really be more. You see, the first step to a good cut if you’re losing your hair is getting rid of wispy ends – they only emphasize a lack of volume. And giving your locks a healthy chop can do a lot to make hair look more voluminous. When hair isn’t weighed down by length, it tends to have more bounce. So a short hairstyle may actually give the illusion of thicker, fuller hair. Women may also want to consider layering to add even more volume and body. Men can try a little fringe — pushing this fringe forward a bit can help conceal the bare spots surrounding the widow’s peak. Of course, it’s best to do this subtly. If the pieces are too long, it can draw attention to any bald spots, as opposed to hiding them. Well-placed hair color can add dimension and movement, while helping to “conceal” the signs of hair loss. The trick is finding the right balance of light and dark color. For example — very dark hair will often contrast sharply with the scalp. This contrast can make thinning hair more obvious. 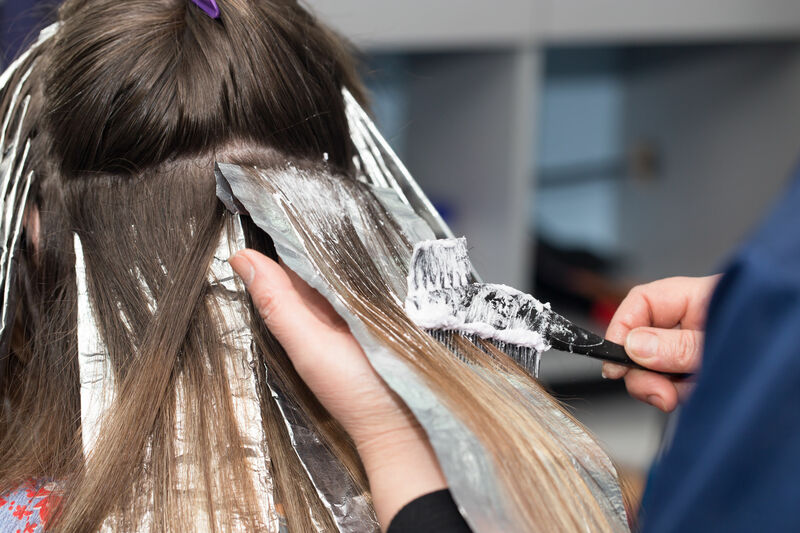 Adding a few highlights can help decrease this contrast between scalp and hair. This can help greatly diminish the obvious signs of hair loss. And if your hair is on the light side, try adding in a few dark pieces. You see, dark hair naturally tends to appear thicker simply because it’s more visible. So adding some lowlights can help give your hair the illusion of fullness. Not only that, but both highlights and lowlights can add dimension and depth to your hair which can enhance the look of fuller hair. Of course — this tip comes with a disclaimer. 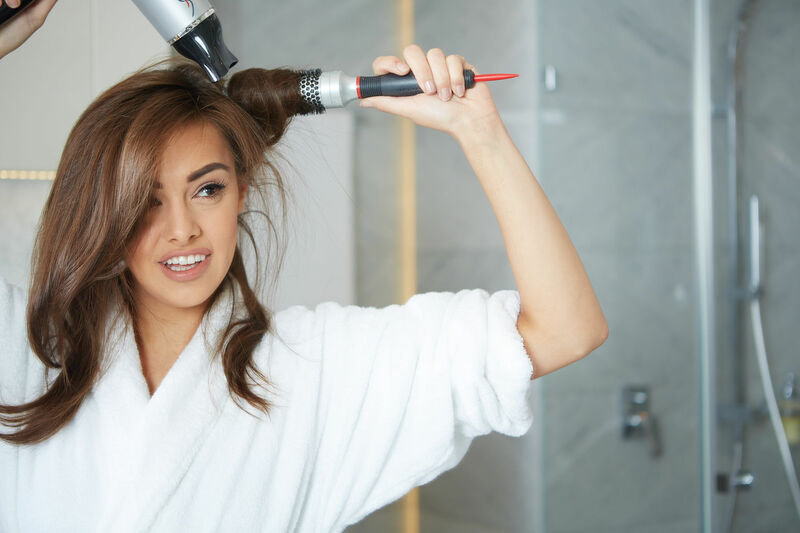 Be careful to avoid over-processing your hair, as this can damage the hair shaft.2 This damage can further weaken hair that’s already thin and fragile. 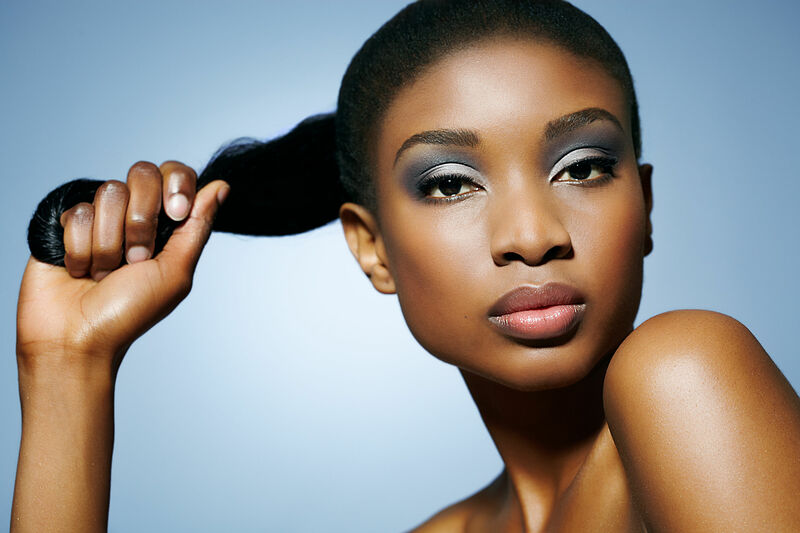 As always, it’s important to consider all factors when making decisions about hair health and cosmetics. Next up — if you’re dealing with hair loss, a good volumizing mousse or spray could become your best friend. To use a volumizing mousse, start with damp hair. Spray a golf ball-sized amount into your hand. Use your hands to gently comb it through the entirety of your hair. Even distribution will help fend off any potential product crunchiness. Ready to add more body to your hair? Try giving yourself a proper blowout. Now, be absolutely sure to apply a heat-protectant spray before going anywhere near a hair dryer. Heat damage is a big culprit when it comes to dry, brittle strands. As you’re drying, use a round soft-bristled brush to pull each section up. Add a blast of cool air before finishing to help set the style. Now, a traditional, straight part can emphasize scalp visibility. So, to keep that wide part from becoming too obvious — try doing a zig-zag part. For a subtle zig-zag part, simply cross small sections of hair over your natural part, alternating right and left. Voila! That wide hair part just got a lot less obvious. Simply color-match your hair to some extensions (clip-ins if you don’t want to pay salon prices) and add a few to your hair for a little extra body. This tip isn’t so much about “disguising” thinning hair, as it is about actually promoting thicker-looking hair. Now, there’s a bit of science to this. Hair loss can be caused by something called “oxidative stress”.6 Your body experiences oxidative stress occurs when it’s exposed to free radicals, which are damaging molecules generated when the body is exposed to toxins like air pollution, pesticides, and heavy metals. Unfortunately, free radicals are pretty hard to avoid. That’s why we use polyphenols in our Revitalizing Hair Therapy — to encourage healthy, fuller-looking hair. Hair loss can be nerve-wracking. But thinning hair doesn’t have to be obvious. These 7 tips and tricks to hide thinning hair can help encourage the look of fuller, thicker hair. And, put your mind at ease.